Only via Standard Ground to inside the USA and Canada. 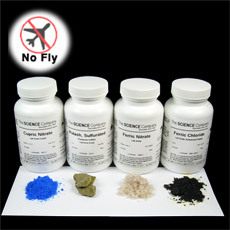 This beginning kit includes four of our most popular patina chemicals for use on copper, brass, and bronze. These will help you create a wide variety of shades, including tans, browns, red browns, greys and blacks. Included are six patina recipes and our Guide to Patina Creation to get you started. 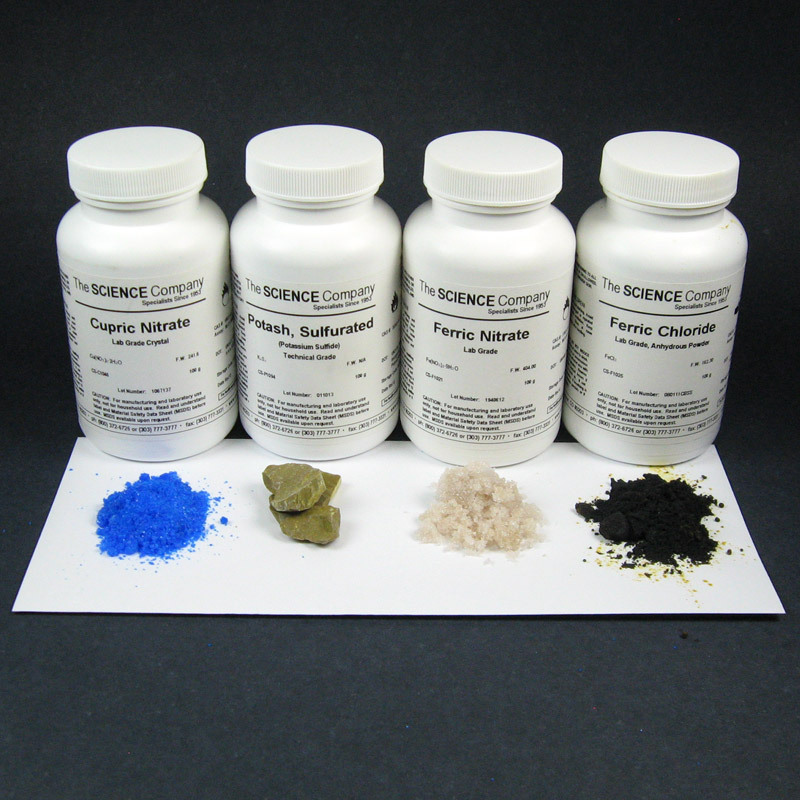 This kit will help you achieve the all important base color needed on copper, before going on to different, more vibrant colors. Cupric Nitrate, 100g — For you to try your hand at turquoise colors. 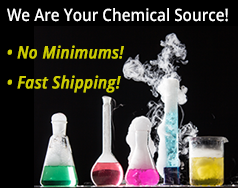 SAFETY: Wear chemical splash goggles, disposable gloves, and a lab chemical apron. Youths should handle these chemicals under supervision. Variables that might affect your patina results.